The construction of the Eiffel Tower began in January 28th 1887, for the World’s Fair of 1889 (inaugurated in March 31th 1889). It was constructed to show the world how France can be powerful and ambitious. 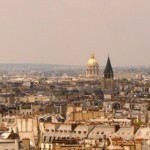 The Mairie de Paris (Paris City Hall) is now owning the monument which attracts 7 million visitors per year. Among the Eiffel Tower information, the principal one is that the Eiffel Tower is nicknamed « La Dame de Fer » (The Iron Lady) in french : it’s composed of 18 038 pieces of iron ! Since 1991, the monument has been declared a world heritage site by Unesco. The Eiffel Tower is not only touristy, it houses several radio and television antennas. There are 7 elevators and 1,665 steps. Elevators carry more than 900 people per hour! Access to the first and second floors can be done by stairs or by elevator. To climb to the third floor, you can only take the elevator. On this floor you will not only be able to admire the view of Paris, but also have a view up to 85km, therefore on the whole Ile-de-France region. 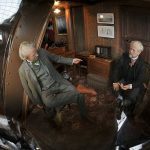 You can also see the office of Gustave Eiffel, as well as the plaque commemorating the liberation of Paris and pictures dating from the end of the 19th century. If the third floor is a historic place, the second floor houses a restaurant called “le Jules Vernes“, where dishes are served by a team of chefs of the famous Alain Ducasse, with a capacity of 95 covers. There are shops, and even a macaroon bar. But the most interesting is the view, because you have at your disposal telescopes in the galleries to allow you to admire the beautiful City of Light. 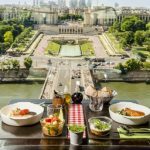 The first floor also houses a gourmet restaurant, “le 58 Tour Eiffel“, where you can enjoy a panoramic view of the capital. A cinema room is available for visitors, which broadcasts a few images of the context in which the Eiffel Tower was built. There is also a wall of pictures and texts where you can see a screen displaying the digital version of the book « La tour de 300 mètres » (The 300 meters tower) that Mr.Eiffel wrote about the story of the construction of the tower, to its smallest details. The prices for climbing by stairs (1st and 2nd floors) are 7.00 euros for adults, 5.00 euros for young people, and special prices are 3.00 euros. For the elevator (1st and 2nd floors), 11,00 euros for adults, 8,50 euros for young people, and 4,00 euros for children. For the 3rd floor, the price of the elevator for adults is 17,00 euros, for young people (12-24) 14,50 euros, and special prices 10,00 euros. It is better to buy them in advance on the official website (only for the elevators, you can’t buy a “stairs” ticket online). The Eiffel Tower is open daily from 9 am to midnight from mid-June to early September, from 9:30 am to 11 pm the rest of the year. Open until midnight during certain public holidays. You can get there by subway, line 9 to Trocadéro station and line 6 to “Bir Hakeim” station and by RER C to “Champ-de-Mars – Tour Eiffel”. For more Eiffel Tower information, check here.